It is a new year, barely beyond the middle of January and I suspect most of your resolutions (like mine if I made them anymore!) have faded into history. How’s that new diet? New reading plan? New devotional plan? Exercising every day? Anger issue abating? Self-improvement plan on schedule? Spending quality and quantity time with God? With your family? Life is a series of changes and there is always something about ourselves that we’d like to change for the better. However, the reality is that we won’t make the changes we need to make until we are ready to take a risk and push through the wall that we – or others – have designed and built to protect us from potential harm, keep us safe, and enable us to enjoy a pleasurable life. Most of the things we, as Christians, want to change are the things that keep us from being who we know we are, or should be in Christ. We want to grow in our faith and mature in our spiritual walk, but it is just so hard and it requires so much work. We know what we have to overcome: Fear. Laziness. Self-focus. Comfort. Or the all-encompassing, Hedonism. What is hedonism? 1) Pursuit of or devotion to pleasure. 2) The ethical doctrine that only that which is pleasant or has pleasant consequences is intrinsically good. 3) The doctrine that behavior is motivated by the desire for pleasure and the avoidance of pain. Hedonist: One who holds that pleasure is the chief good. Are we hedonists? 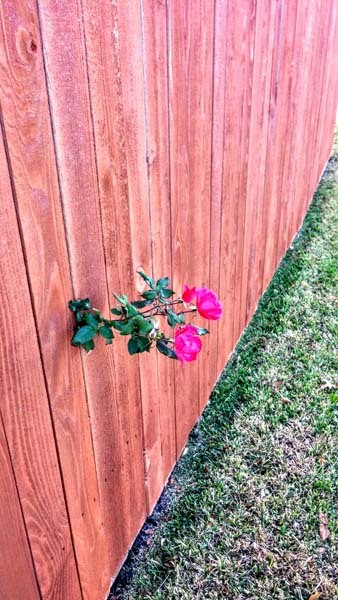 Are we willing to risk pain if it means becoming more than we are, if it means pushing through the wall of our self-imposed and self-limiting ideas of God, or if it means trusting God in the midst of fear? Are we willing to risk pain, failure, or conflict if it means becoming all that God intends for us to be? If we say that the risk is too great, then oh my, yes, we’re hedonists! We’re hedonists and we see it manifest physically, emotionally, and spiritually – in every area of our lives. We will go to about any lengths to avoid pain or discomfort. We do want our lives to be pleasurable. Pleasure: 1) That which is enjoyable. 2) An enjoyable sensation or emotion. 3) Satisfaction or delight, amusement, diversions or worldly enjoyment. 4) One’s preference, wish, or choice. We have been known to sacrifice our goals, our ideals, our hopes, our dreams, and often our relationships on the altar of pleasure. Whatever “it” is — if it is too much work we let it die. If it doesn’t feel good, we don’t want it for ourselves or others. If loneliness, conflict, suffering or displeasure is involved, we can’t get on board. We want to feel good about everything we do, every policy we enact, and every choice we make — pleasure motivates us. We are even capable of sacrificing God’s plans for us on the altar of pleasure. What is God’s plan for us? His plan for us does not end with our Sunday morning responsibility, or our weekly Bible study, or our interactions with other people. God’s plan for us can be summed up in one word: Holiness (Romans 8:29). Holiness is not an easy path to walk. It will end up pleasurable in the long run (eternity with God will be quite pleasurable!) but in the short run, it is often the opposite: It is difficult and painful. Attaining holiness requires suffering – and there are no shortcuts. Not only do we not want to suffer, we don’t want anyone we care about to suffer. We want to remove suffering from the world, and we let our ideology regarding how we intend to do that separate and divide us politically. However, if God works through suffering, then as we fight to get rid of suffering are we also fighting against God? If God uses suffering as part of his plan to make us, and the people we love, holy then shouldn’t we come alongside hurting people in their suffering rather than work so hard to end it? Suffering will end when Jesus returns and there is a new heaven and a new earth. Until then, suffering is the lot of all people. As much as we want to avoid suffering, we are missing a lot by insisting on pleasure for ourselves and for others. We are forfeiting God’s best. Is the trade-off worth it? Are you willing to risk anything, something, or everything to become all that God would have you become? 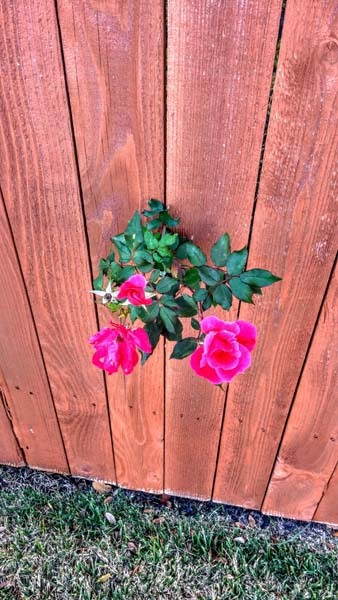 Are you brave enough to leave the limiting boundaries of familiarity and comfort behind and do the hard work that is necessary to bloom on the other side of the wall? Marcia, This was a great analogy of suffering to get to the other side of the wall and that God uses suffering to make us holy. I just read an interesting little book by John Piper called “The Dangerous Duty of Delight”, The Glorified God and the Satisfied Soul. In it he mentions this word Hedonism: the belief that pleasure or happiness being the most important goal in life. And the opposite, Christian Hedonism: finding pleasure in Jesus Christ as a Christian, which was first introduced in his book Desiring God in 1986. It was interesting that you mentioned this word Hedonism which describes our culture today more than ever. 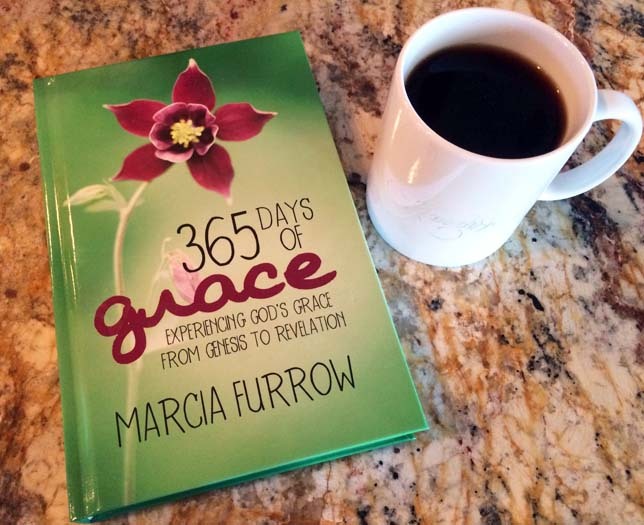 I appreciate your devotional, 365 Days of Grace which is helping me read through the Bible focusing on difficult passages looking for God’s Grace. And its training my mind to look for God’s Grace in everyday circumstances as well! Thanks Marcia!